OLD PARKED CARS. 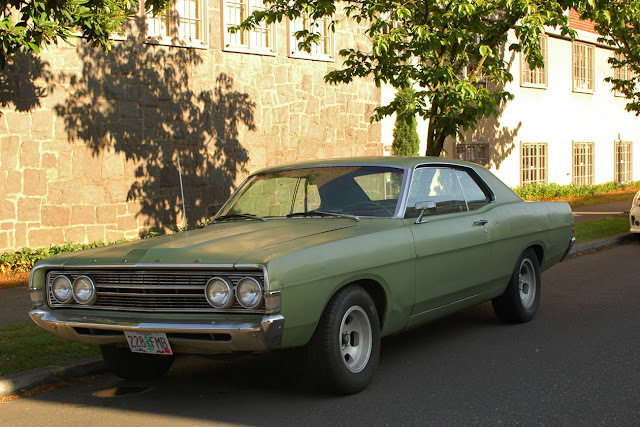 : 1969 Ford Fairlane. Those wheels, combined with the overall stance and generally beat up look are awesome. It a 68, I only know because I own a gold sedan in nearly the same shape. Loved the '68-'69 Fairlane/Torino/Ranchero bodies. 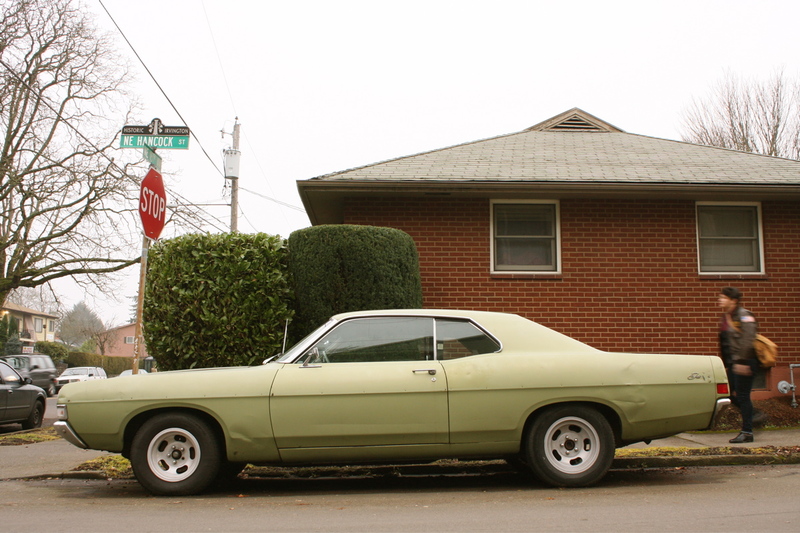 I had a Red '68 Ranchero GT and a '69 Fairlane 500 Yellow with black vinyl top. "ford falcon Australia" is a spammer. Anyway, this thing is badass. 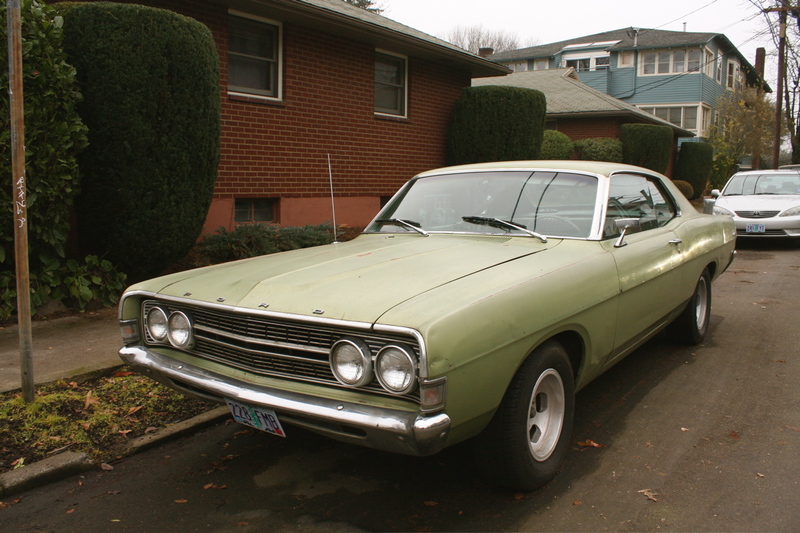 Slotmags, that 60's-70's shade of green with light patina with those small dents...do want. You're correct it is a 68, the taillights give it away. If you look at a full-size 68 Ford LTD, the taillights will be similar to the Fairlane for 68. 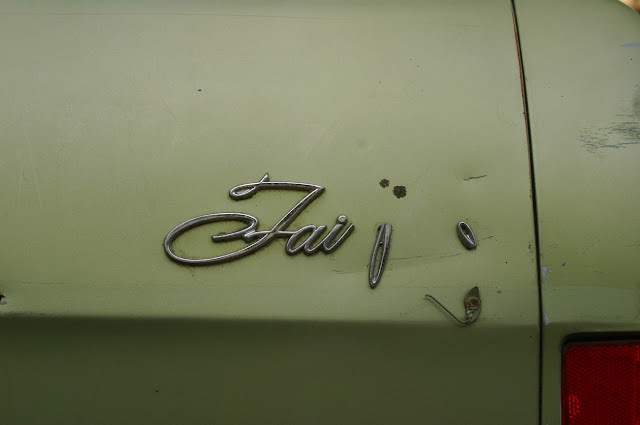 Same thing with the 69 full-size Fords, the taillights will be similar to the Fairlane. 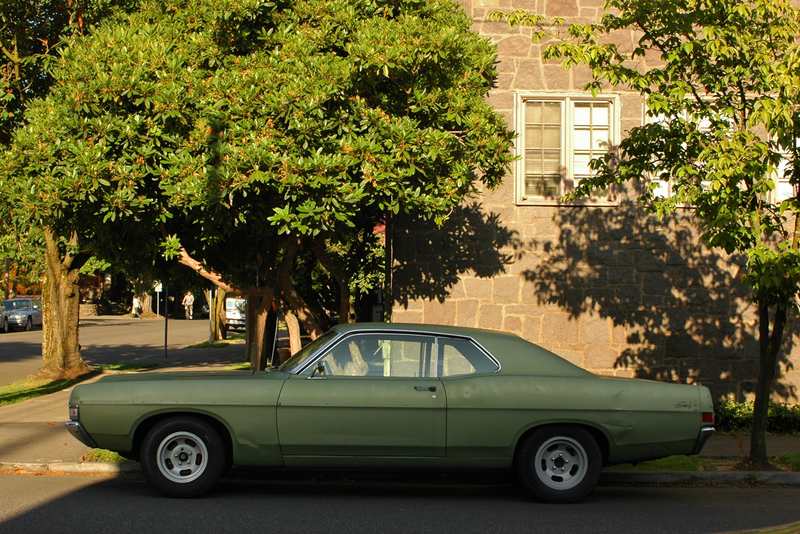 I can kind of see why you see a lot more surviving 68-69 General Motors midsize cars from that era. They obviously sold more. I'm not against Ford, I really love the 66- 67 Fairlane fastback it's very clean, just the 68 & 69 Two-door sedans were kind of boring. 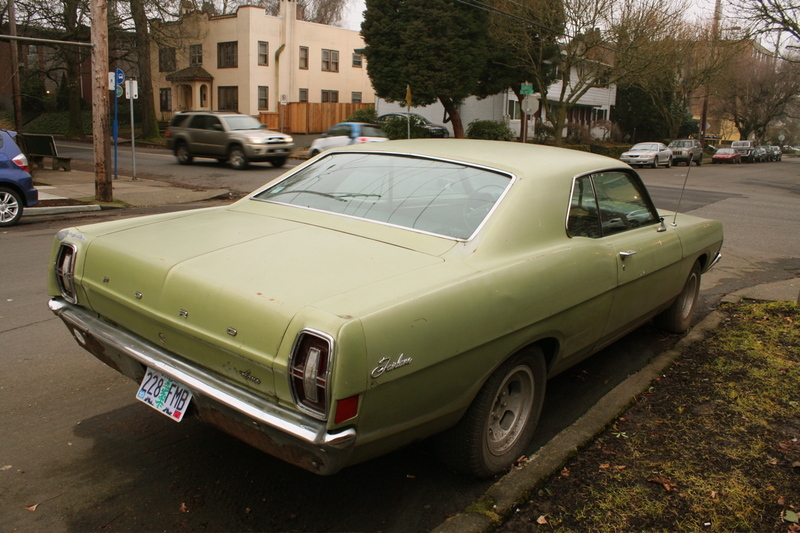 The 68–69 fastbacks; now that was a mean looking Ford. 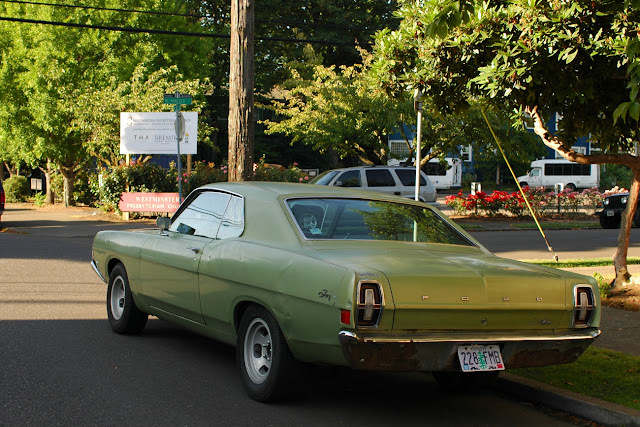 I Kind of wish they used a 68 MERCURY fastback in the movie bullet, since its competitor was the charger.